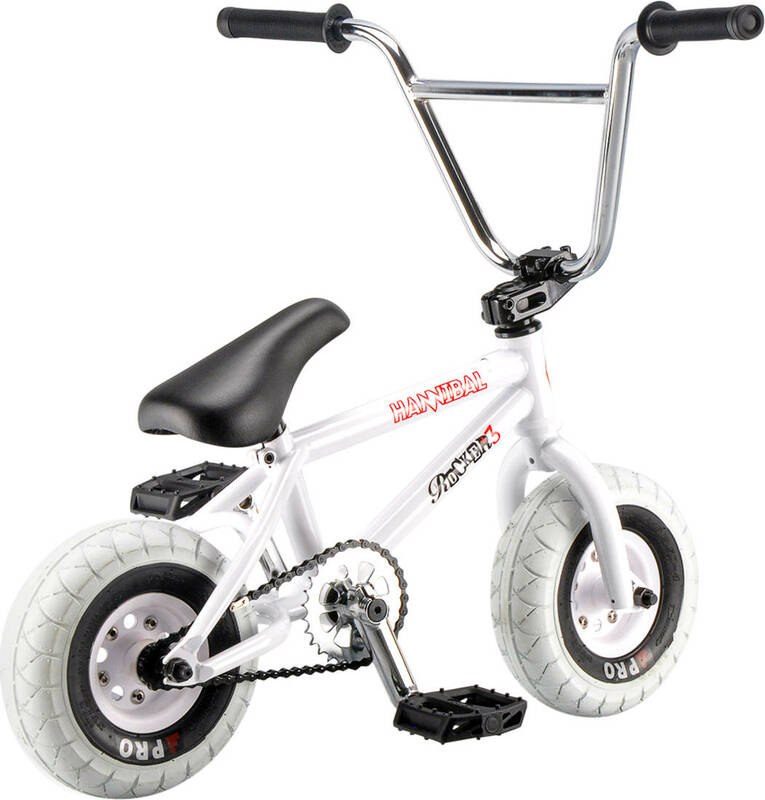 The Rocker+ Mini BMX edition comes with an improved fork with reduced clearance for much easier foot jams. The frame has been tweeked with an angled seat clamp and micro drop outs for a super clean looking back end. The Rocker 3 has been under the knife for a solid 1 kg reduction in weight compared to the Rocker 2. 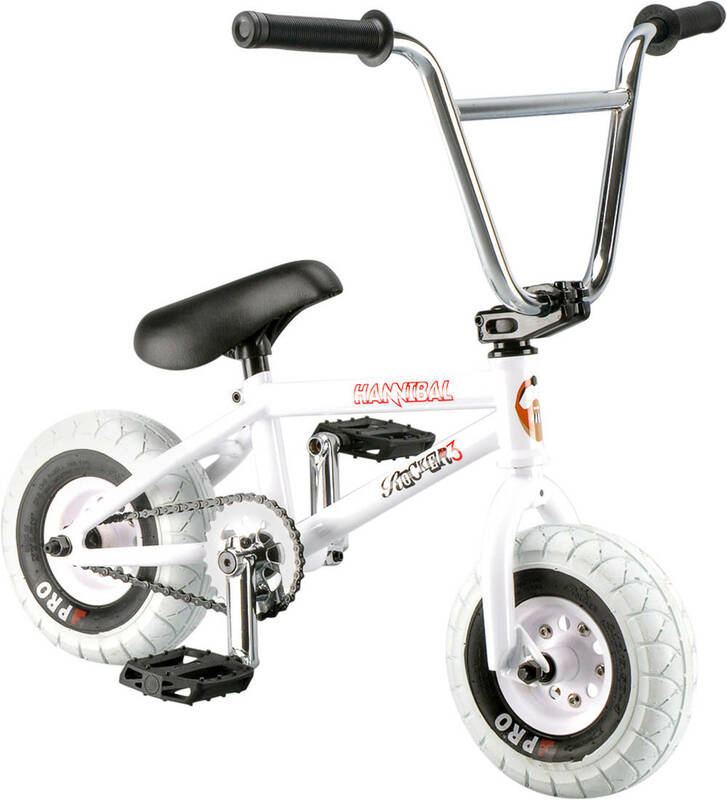 The most serious Rocker Mini BMX to date and also the most durable. Built for higher speed and bigger tricks. Rocker 3 features a drive sprocket with 9 teeth and a 28 teeth front sprocket. The tall gearing allows for high speeds and thus much higher airs. With higher airs comes higher impacts. Hence the upgraded 3-piece crank which takes far more abuse. A short back end makes spinning a whole lot easier and the addition of the street pro tires will give you more confidence to throw bigger tricks. 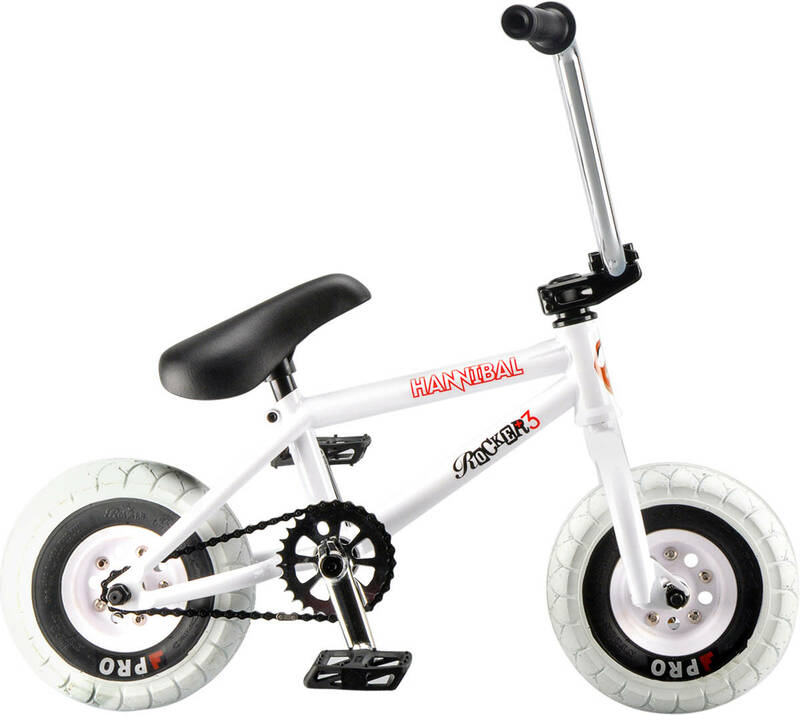 The Mini BMX comes with precision sealed wheel bearings for lower rolling resistance. 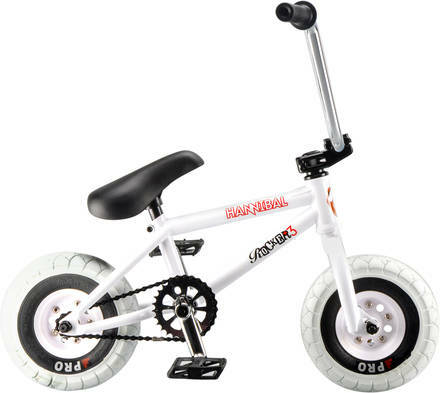 The mini BMX is delivered 80% assembled. All parts must be tightened before use. When using a freecoaster hub you will find that it takes a while longer before you start gaining momentum when pedaling. This is called "slack" and can be adjusted in 4 different configurations for much slack to very little. All this can be done without removing the wheel.